It wasn’t a good day for director Michael Bay at the Consumer Electronics Show. He probably wants a do-over. Watch his epic meltdown. 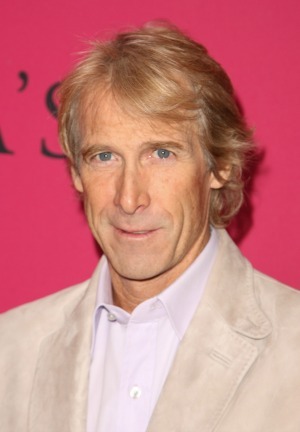 Michael Bay is known for producing and directing some of Hollywood’s biggest action blockbusters. What he’s not known for is improvisation. On Monday at the Consumer Electronics Show in Las Vegas, the director had the ultimate meltdown when the teleprompter with his script on it malfunctioned. The annual show highlights the best in new technology for consumers, so it is a bit ironic that an electronic device didn’t work when it was supposed to. Bay was in town to help Samsung promote their new, curved UHD television. He walked on the stage a bit apprehensive and nervous. However, he dove into his first few lines and that’s when the flubbing began. He even called out that there was an error happening. Samsung Electronics America president Tim Baxter tried to help him and asked a few questions to cue him about what he was supposed to say. However, that clearly didn’t help. On the video, you can hear the shaking in Bay’s voice as he audibly sighs in frustration. “The type is all off. Sorry. I’ll just wing this,” said the Transformers director. When he tried to get back on track, he couldn’t. With that, the 48-year-old producer excused himself and left the stage. The poor Samsung representative was left hanging by himself in front of a packed audience. The executive apologized and quickly wrapped up the embarrassing moment. We guess Bay didn’t have an explosion to save him this time. He imploded on himself. Watch Michael Bay’s epic meltdown.